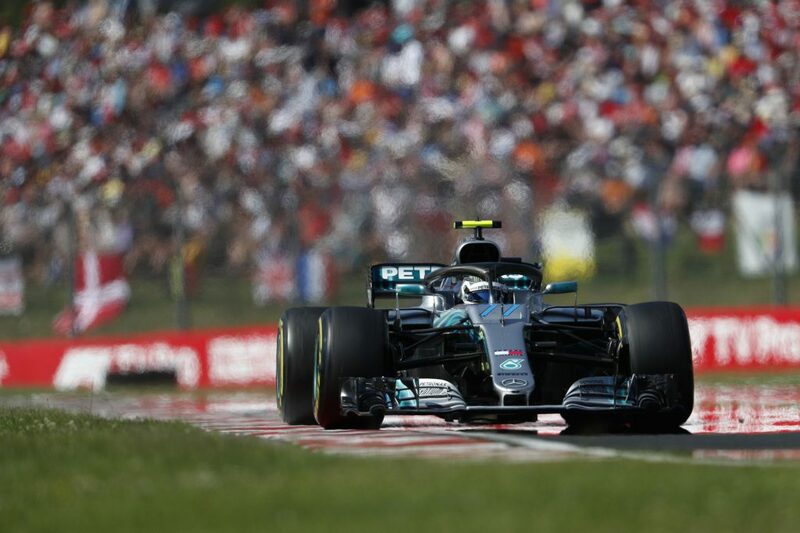 After scrappy races in Austria and Britain, Mercedes maximised its points haul in unlikely circumstances in Germany and now Hungary, where Lewis Hamilton beat Sebastian Vettel to victory despite racing the slower car of the two. 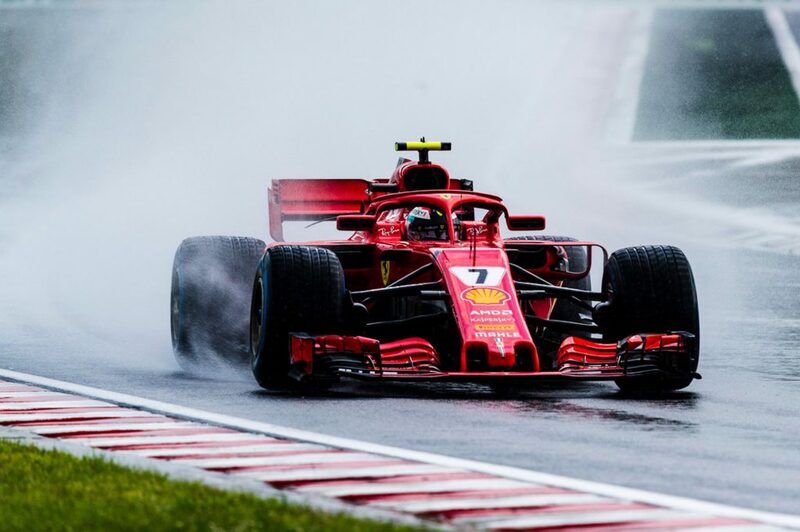 Rain played its part in Budapest, but of great significance too was “wingman” Bottas and his Finnish Ferrari counterpart Kimi Raikkonen, whose strategies were central to Vettel’s assault on the lead. 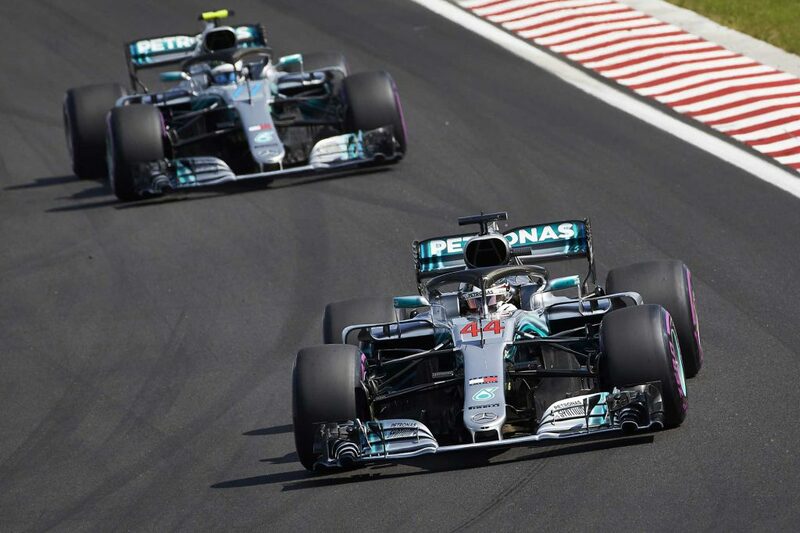 Mercedes expected before the race that it would be closer to Ferrari thanks to the twisty nature of the Hungaroring taking away emphasis on power, which has become the Scuderia’s domain in recent races. Friday practice, however, suggested that the Silver Arrows had the slowest car in the three-way fight between itself, Ferrari and Red Bull Racing, particularly in the hot Hungarian conditions which made managing the rear tyres — a weakness of Mercedes, particularly in the softer compounds — a real challenge. Qualifying, however, was a decisive factor, when heavy rain arrived from the end of Q1 and persisted through to the end of the afternoon. 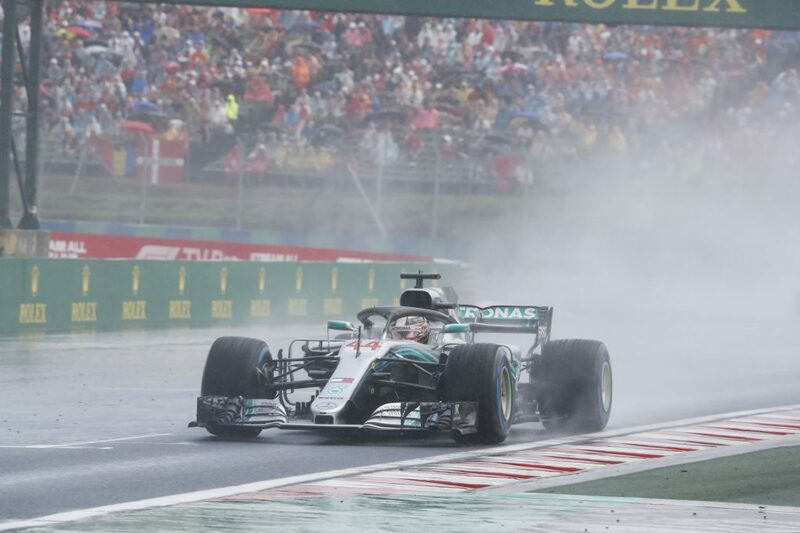 In the wet Ferrari lost its advantage — maintaining temperature in the wet-weather compounds is understood to have been the problem — and Mercedes locked out the front row. 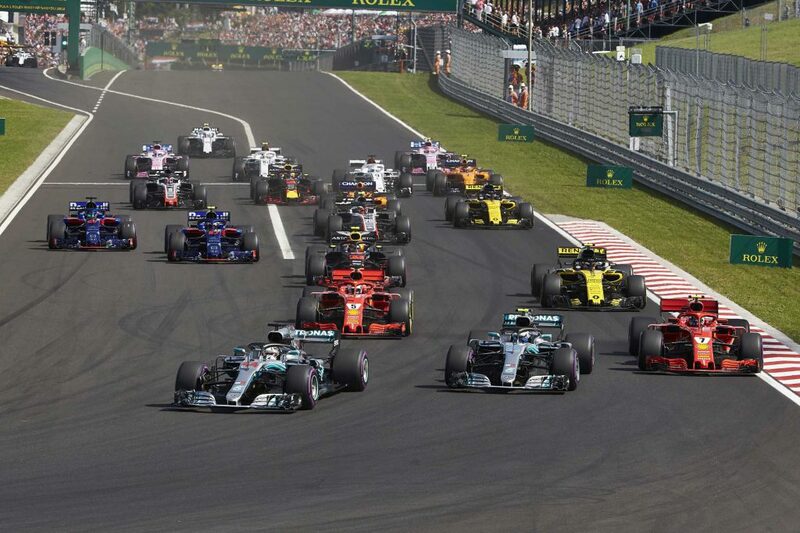 It set up an intriguing battle for the race given the top 10 had free tyre choice and Ferrari, the faster car in dry conditions, would be behind the slower Mercedes cars. Ferrari split its strategies, starting Raikkonen from P3 on the ultrasoft and Vettel from P4 on the soft, the optimal result being an aggressive Vettel with his longer-life rubber forcing Mercedes into chewing through its tyres too early, allowing him to then end the race with the fast tyre himself when tyre wear would be lower. Bottas in second place was Hamilton’s de facto number two in this race, defending the Briton from Ferrari and allowing him to build a gap, which was up to 4.5 seconds after 10 laps. Ferrari deployed Raikkonen to distract Bottas. Ferrari stopped its Finn on lap 14, triggering Mercedes to do the same with Valtteri the following lap. It cleared the way for Vettel to challenge Hamilton’s lead directly. However, the ultrasoft was holding up better than expected, allowing Hamilton to keep a buffer until around lap 22, when his tyres started losing their edge. Mercedes switched him to softs on lap 25, handing Vettel the lead. The next 14 laps decided the race. Hamilton’s new softs were more than a match for Vettel’s old ones, but so long as the German could stay ahead of Bottas after his stop, he could use his fresh ultrasofts at the end of the race to challenge for the lead. Choosing the time to pit, however, was tricky. Hamilton showed 25 laps was possible on the ultrasofts, and the Ferrari had better tyre wear and would be on lower fuel. A 30-lap stint ought to have been possible, but with 35 laps to go Bottas started recovering from his 25-second deficit to Vettel. Ferrari pulled the trigger on lap 39, but by then Vettel had only 20.708 seconds on Bottas for a 21-second pit stop thanks to his slow navigation through backmarkers. With the addition of Valtteri setting the then fastest lap of the race and Ferrari executing a slow pit stop, Sebastian emerged from pit lane behind both Mercedes cars in third. 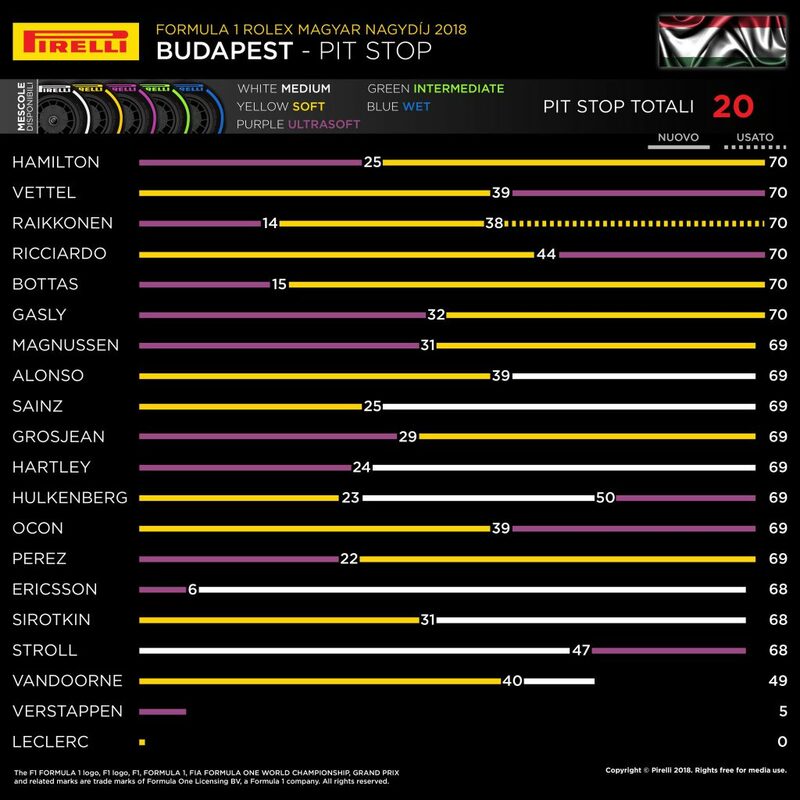 Even with ultrasoft tyres Vettel couldn’t make an impression on Bottas, and by the time the Finn’s substantially older soft-compound tyres gave in on lap 65, allowing the Ferrari to get past, what had been a nine-second deficit to Hamilton after his pit stop had ballooned to 24 seconds, guaranteeing Lewis’s win. Bottas had done his job protecting Hamilton and Mercedes’s victory, but it came at the expense of his own race. 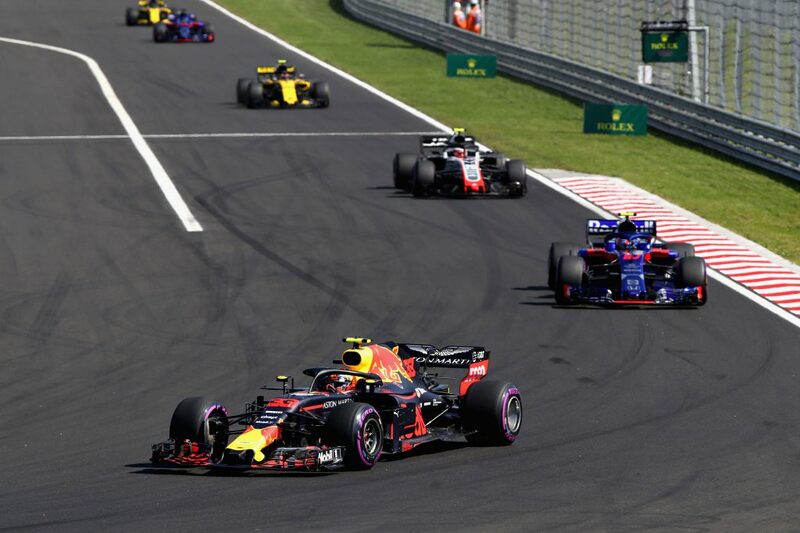 His soft-tyre stint was a mammoth 55 laps, and he lost places in the final five laps not only to Vettel and Raikkonen but to the recovering Daniel Ricciardo as well, finishing fifth. “A sensational wingman” is how Mercedes boss Toto Wolff described Bottas after the race, to which Bottas appeared to take offence, the words coming off as sounding as though he had been confined to the number-two position on the driver roster. Wolff later clarified he meant the comments only in the context of this race, but there’s no doubt that with an 81-point deficit Bottas will be called to wingman duty for the rest of the season, just as Raikkonen was for Vettel this weekend. 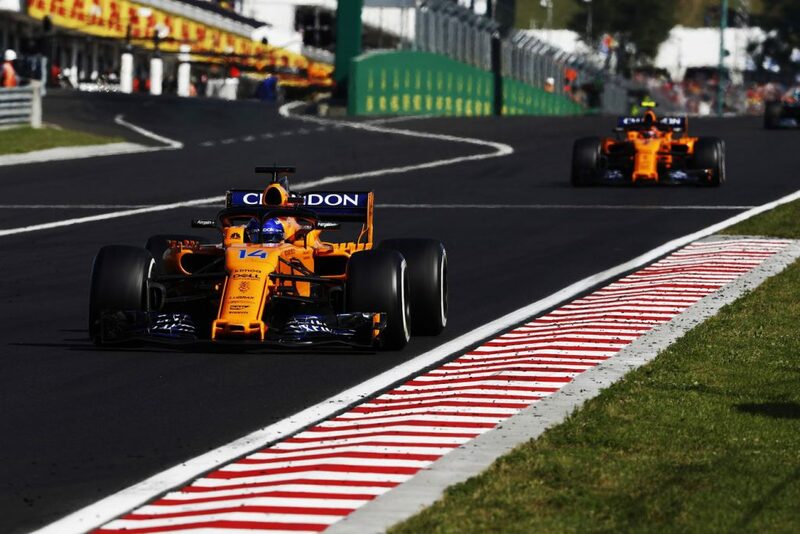 Fernando Alonso and Stoffel Vandoorne qualified 11th and 15th respectively and by lap 15 had stabilised to 12th and 13th behind both Renaults, both Toro Rossos and both Haas cars. 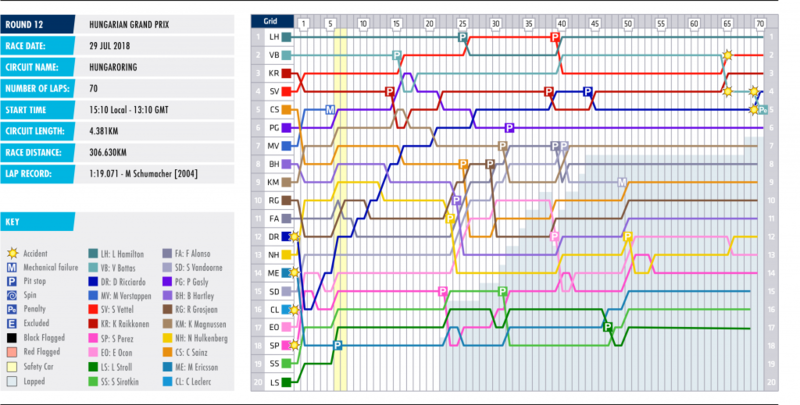 Given the difficulty of overtaking, McLaren opted to put both drivers on long first stints, getting Alonso to lap 39 and Vandoorne to lap 40, in an attempt to avoid falling behind slower cars. 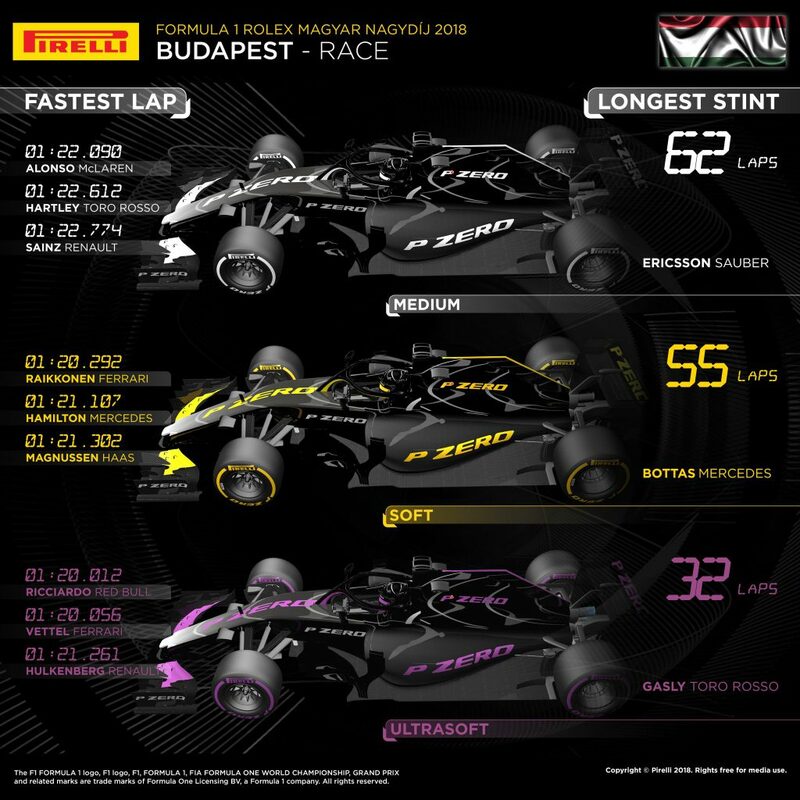 When Nico Hulkenberg, Brendon Hartley, Carlos Sainz, Romain Grosjean, Kevin Magnussen and Pierre Gasly all stopped between laps 23 and 32 — Gasly had a big enough buffer not to fall behind either McLaren — Alonso and Vandoorne were able to make up track position, rising to seventh and eighth. The secret ingredient for McLaren was Esteban Ocon, who had qualified 17th and was attempting a similar strategy. The Frenchman rose to ninth ahead of the early stoppers but was substantially slower on the soft tyre than Alonso and Vandoorne, meaning he ended up protecting them from the other midfielders to such an extent both McLarens were able to stop without losing position. Magnussen wasn’t caught behind Ocon, however, and therefore recovered P7 when the McLarens stopped, and Vandoorne’s gearbox failure meant only Alonso was able to reap any points from the strategy with his eighth-place finish. The longevity of the ultrasoft compound was a key theme in Hungary. Hamilton took the compound 25 laps in his opening stint, but Pierre Gasly and Kevin Magnussen took their sets 32 and 31 laps respectively. Brendon Hartley, who was running ninth before his stop, said after the race he was disappointed the team reacted to Nico Hulkenberg, who had been 10th, stopping on lap 23. The Kiwi was taken off the ultrasofts and onto the slow medium-compound tyre one lap later. Romain Grosjean, who had been 11th as Hulkenberg and Hartley stopped ahead of him, was able to unleash the pace still in his ultrasoft tyres until lap 29, when he made his own stop and emerged ahead of both to steal the final point of the race from the Toro Rosso.